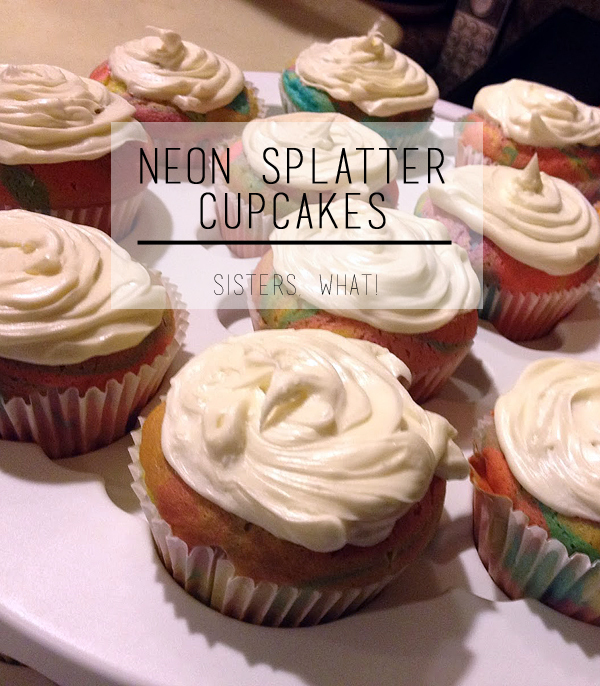 ' Favorite Posts of 2014 - Sisters, What! I really enjoyed making this bag and I still use it everyday. 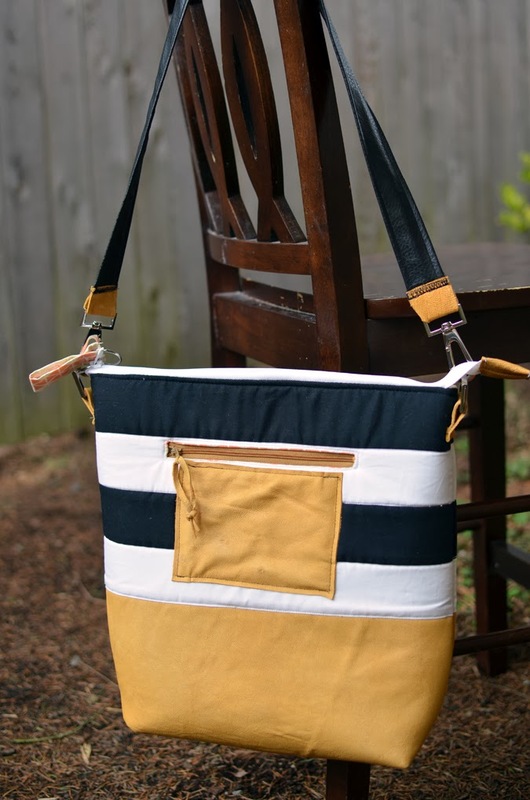 It's versatile and big enough to carry baby stuff and it doesn't look like a typical "diaper/mom" bag. Plus, it is fairly easy to make. These are fun and really easy to make, plus they are perfect for St. Patricks day and the kiddos will love them! 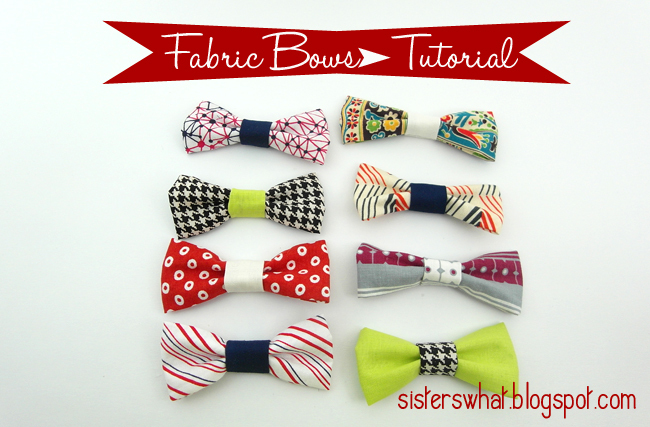 These bows are really easy to make and perfect for a little boy or girl. Plus, the tutorial includes a no-sew version for those who prefer no sewing. We wanted polka dot tights, but funny we couldn't find any that we liked so Sierra and I decided to make some ourselves. It was way fun and really easy. 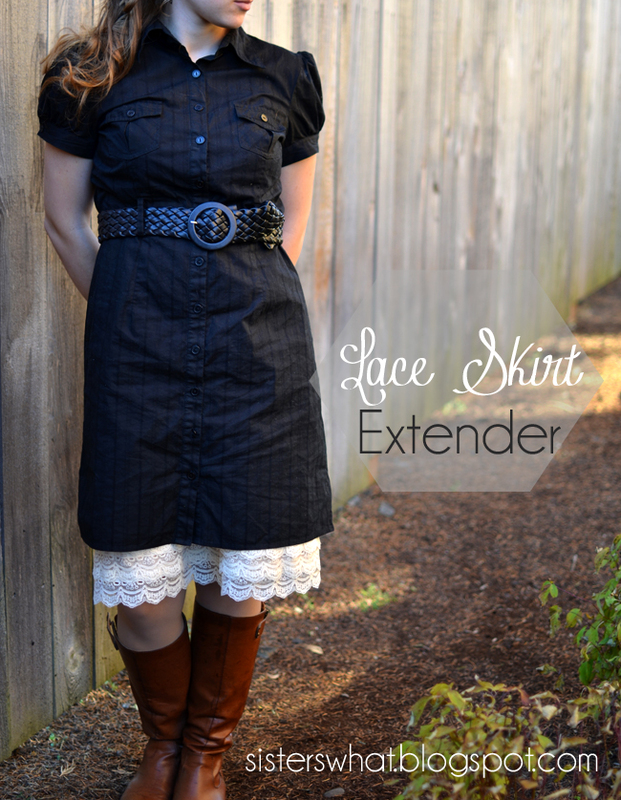 This lace skirt extender is probably the most utilized piece of clothing in my wardrobe. Even if a dress or skirt is long enough for my liking, I still find that I like to add the skirt extender for extra modesty and it spices up some of my skirts. Plus, really easy to make. 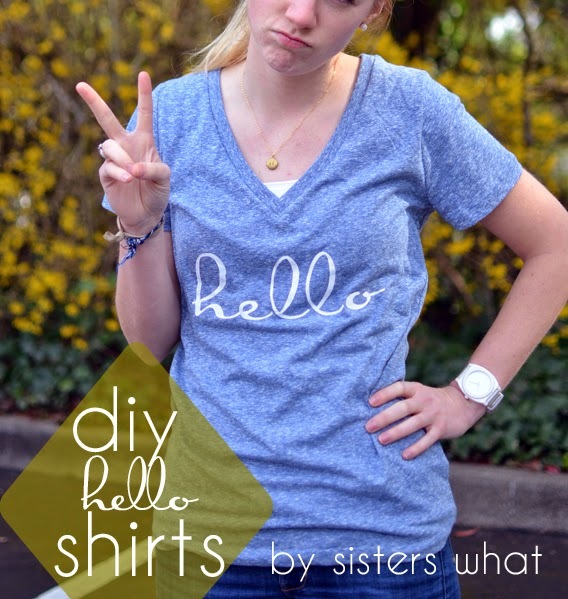 three of us sisters made these awesome hello shirts. Seriously awesome. This was a really fun and quick project. 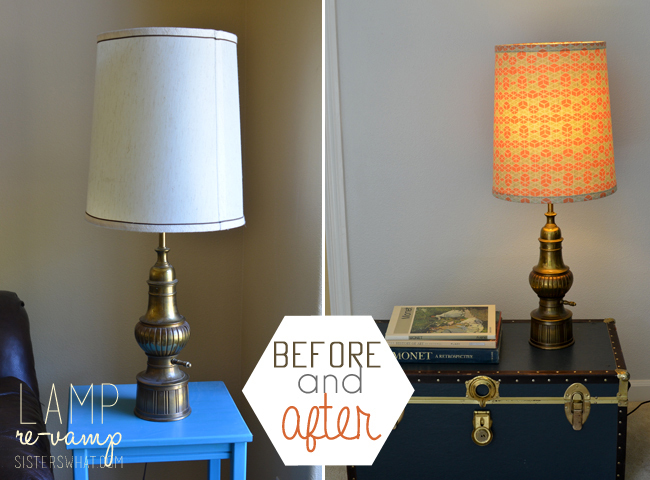 Lamp shades can get pricey, but with any thrifted lamp shade, you can save yourself some money and use your favorite fabric to update any old lamp. 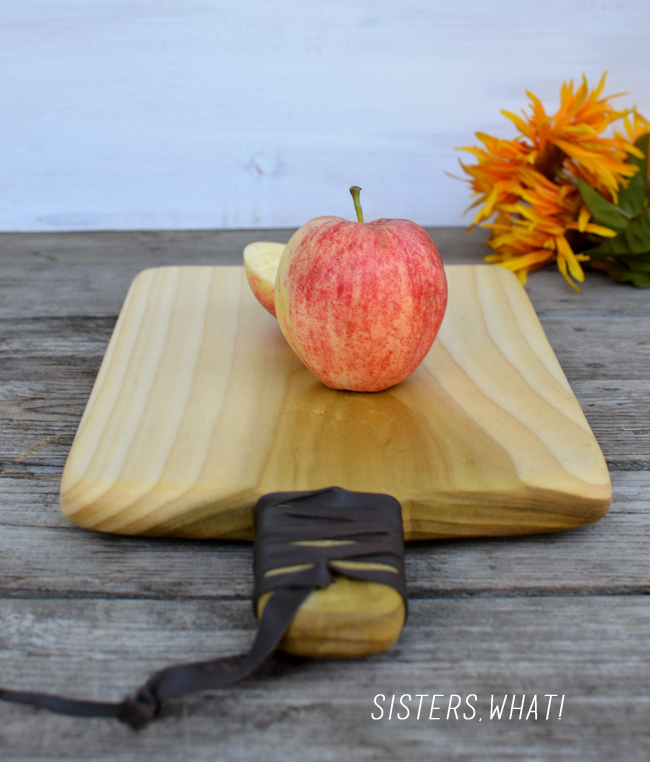 This cutting board was kind of a different project for me, but it turned out easy and made great gifts. Plus, wood and leather looks great hanging on the wall in the kitchen. This is definitely a must do project for all you Harry Potter or fantasy fans. Just chopsticks and hot glue. This was the first thing to go on our wall and I really love it. It's great to hold random, but beloved photos and other stuff. This was probably my favorite project from last year. 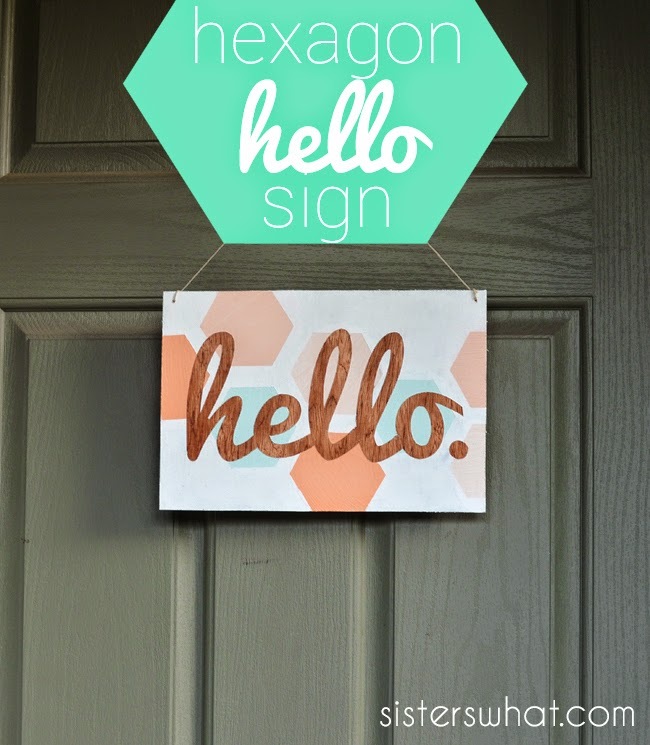 It's so cheery and fun; plus hello never gets boring. 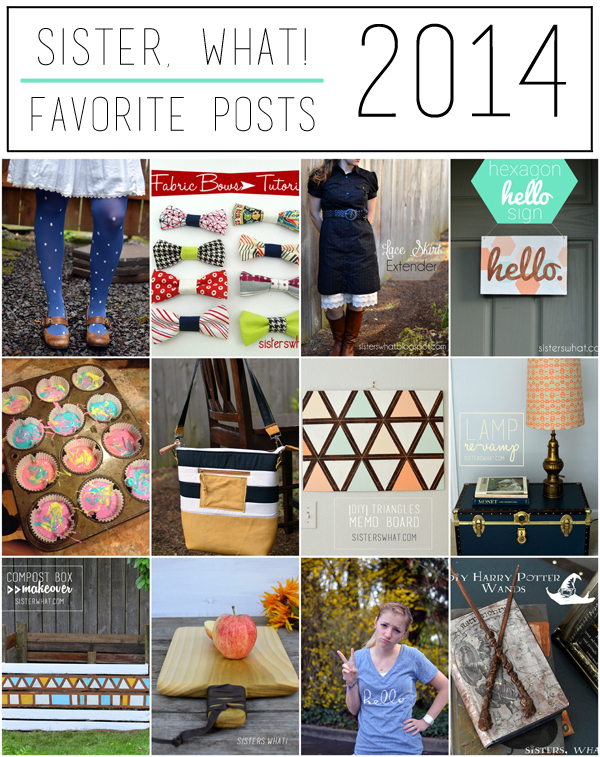 I hope you enjoyed that quick flashback to 2014...I'm super excited for 2015! I LOVE your fashion sense! 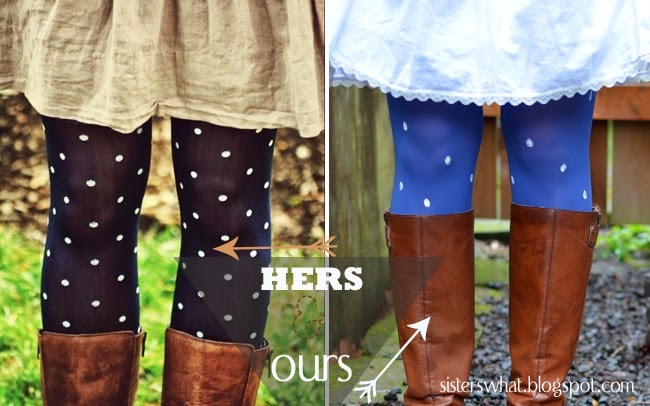 That lace skirt extender is too cute. 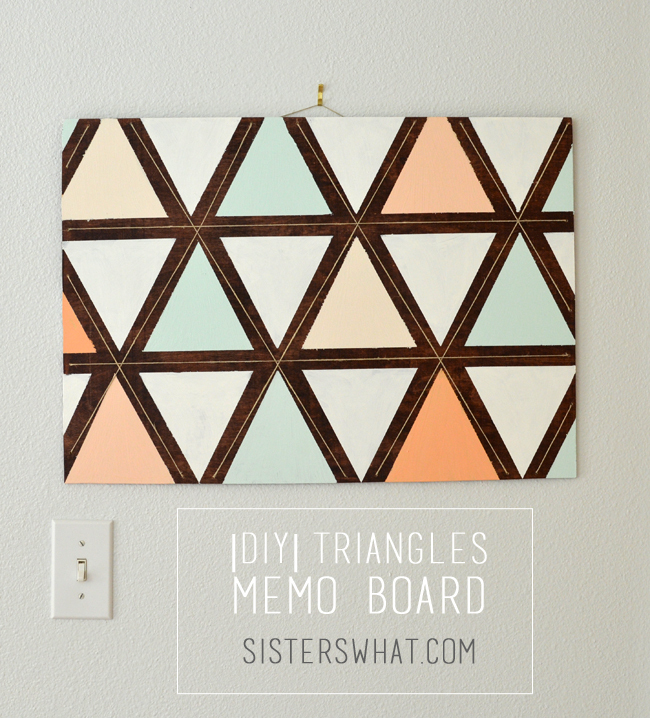 I think the triangles memo board is my favorite project here but I really like them all. Love the lace skirt extender and the triangles memo board! So creative! 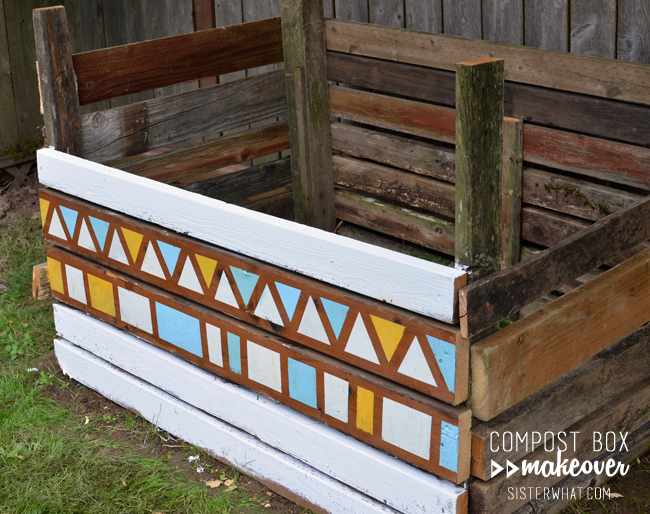 I like that compost box! If we had more room, we'd build one around our composter. Very impressed by the DIY cutting board!! 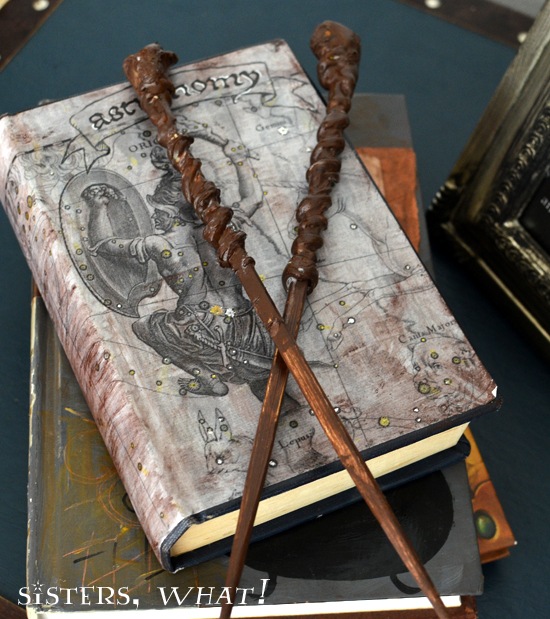 And LOVE those Harry Potter wands, great idea! !